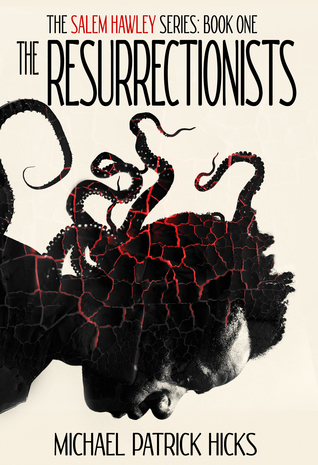 Thanks to the author for an advanced reading copy of The Resurrectionists (The Salem Hawley Series, Book 1) in exchange for an honest review. Receiving this eARC did not influence my thoughts or opinions on the novella. Not since Victor LaValle’s The Ballad of Black Tom have I been so intrigued by a Lovecraftian inspired novella, though the shock and awe presented in Hick’s work is truly captivating. The character of Salem Hawley is one you can truly stand behind as he fights for the betterment of his fellow Black Man, though to say he simply falls into a greater conspiracy is putting it lightly. Something otherworldly has awakened and it’ll take more than pikes and shovels to force it back from whence it came. The only downside I can be a little nitpicky over is that I felt like it ended abruptly. Even knowing that it is apart of something greater, I felt too wound up for it to be over. Having said that, I do like how Hick’s builds up for the coming sequels and the author notes give us a glimpse into his inspiration. All in all, a very enjoyable read for fans of Hick’s work and for those who enjoy Lovecraftian/Cosmic horror.